← Follow Up: My NYC Apartment’s Brewing Constraints. On Monday, November 16th I headed to Brooklyn Brewery for the release of Garrett Oliver’s newest addition to his Brewmaster’s Reserve Series of beers, Lord Sorachi. 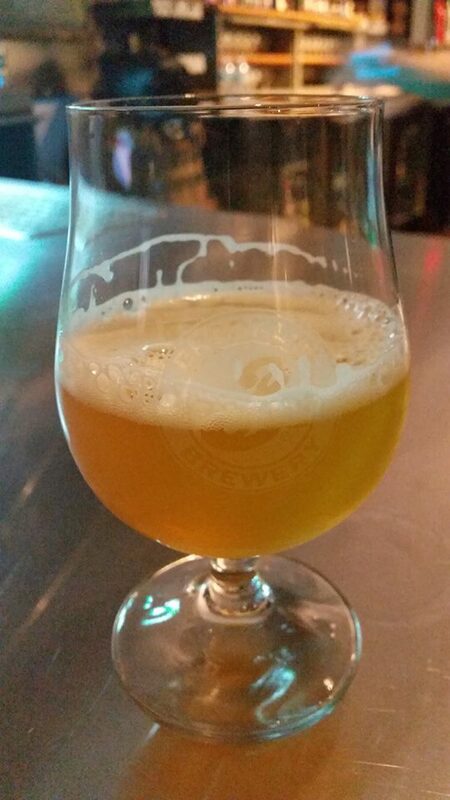 This 9.5% imperial saison is the “bigger brother” of Sorachi Ace, Brooklyn Brewery’s year round saison. In his usual fashion Garrett quieted down the crowd about half way into the night’s festivities for a brief speech about Lord Sorachi filled with humor and class. Of course I was ready and waiting with my camera and tripod so that I could film the speech and then share it with the craft beer community. I hope you enjoy watching the above video as much as I enjoyed experiencing it in person. Cheers! Brewery’s Description: The mysteries of the Royal Hop Lines are deep, and many tales are told about them. Long ago, in the 1970s, Lord Beikei of Japan and Lady Saaz of the Czech Lands bore a son, Sorachi Ace, in the Japanese prefecture of Hokkaido. Sorachi Ace quickly became a great hop, legendary for his unusual aromatic character. Opponents came to fear his entrancing “Lemon and Dill Stance” and the equally potent “Lemongrass Technique.” Sorachi Ace found his ambitions suppressed and he fled to the United States, making his way to the Pacific Northwest. There, on the estate of the House of Gamache in the land of Yakima, his powers grew strong…This winter, rejoice as he assumes a new guise—Lord Sorachi! He takes this mighty form to help us through the cold dark days, and to raucously celebrate with us on our holidays. A “Super-Saison,” Lord Sorachi’s bitterness is swift and sure, his hoppy pungency irresistible, and his strength assuring and immovable. Now, for a short time, embrace the mysterious duality of Sorachi Ace and Lord Sorachi. Food Pairings: Sushi, sashimi, tonkatsu ramen, yakitori dishes, Asian spices, and sturdy cheeses. This entry was posted in Beer Reviews, Brewmaster Interviews and tagged beer release, Brewmaster's Reserve Series, Brooklyn Brewery, Garrett Oliver, Imperial Saison, Lord Sorachi saison, NYC beer, Sorachi Ace hops, Sorachi Ace Saison. Bookmark the permalink. Great review! Would love to try this!